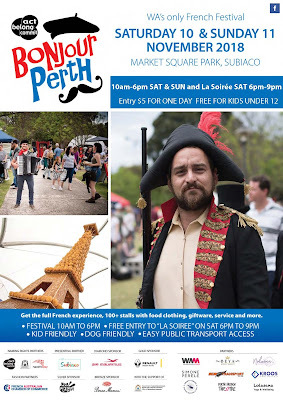 I've neglected this site for a bit, as I was in full swing Bonjour Perth Mode!!! I have had an excellent time and met lots of people, talked about oils a lot (one of my favourite topics) and made great connections with people. I hope to return next year. I may be a bit busy to add to this website for now, but I am never too busy to answer questions! new post with all of the oily goings on for February! new post on my new blog!